Vice President Dr Mahamudu Bawumia says it is high time Ghana won medals at the world stage to restore its dwindling fortunes in sprint athletics. 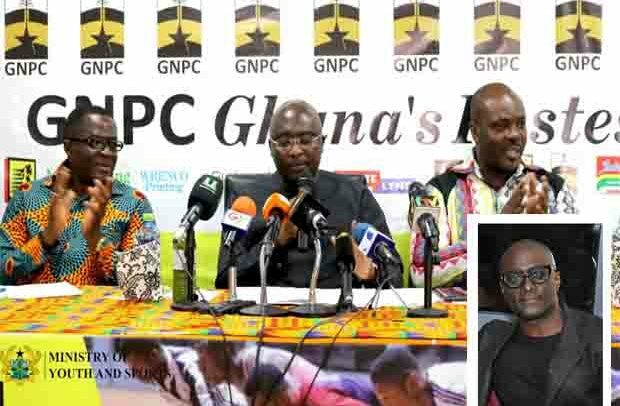 And at the launch of the sixth GNPC Ghana’s Fastest Human launch in Accra recently, Dr Bawumia likened Ghanaian runners to their Jamaican counterparts, and has charged them to live up to the athletics powerhouse status. The Vice President pointed out that we are in an era where at the international games where victors mount the stages, national anthems are played, athletes compete in their national colours; and so called on Ghanaian athletes to make impact. He commended title sponsor of Ghana Fastest Human, GNPC, highly for realizing the power of sports as a tool to provide jobs, empower women, improve health, foster peace and unity. Youth and Sports Minister, Isaac Asiamah, expressed the hope that the completion of the ten youth resource centres of excellence across the country will help produce more athletes for Ghana. The Ghana Fastest Human Race project is a seven-year initiative aimed at raising athletes to make impact in the 2020 Olympics as well as restore the dwindling fortunes of sprint athletics in Ghana. Founder of the Project, Reks Brobby, mentioned that all was set for this year’s edition which will see his team travel across the country for the regional events before gathering for the national competition in September. The project is supported by Indomie Instant Noodles, Adidas, Global Media Alliance, Pipers Gym, Wrenko Printing, Kriate Lyncs, Moringa King Juice etc.